The perch grab is on! Water temps in the upper 60s to low 70s across the lake. Algae is starting to grow fast now. Lake is pretty green all over depending on the wind direction. The fish are on the perch grab right now. Get out on the lake and you'll know what I'm taking about (fish jumping everywhere!). Make sure you've got one hanging under your indicator or at the end of your sinking line. Fish are keyed on small black midges right now, the hatches have't been anything special lately. Not seeing anywhere near as many midges flying around as I did a few weeks ago. Water temps on the surface are nearing 75 degrees by mid day! Water temps on the bottom remain in the upper 60's to just over 70. Find the coldest water and you will find the fish. 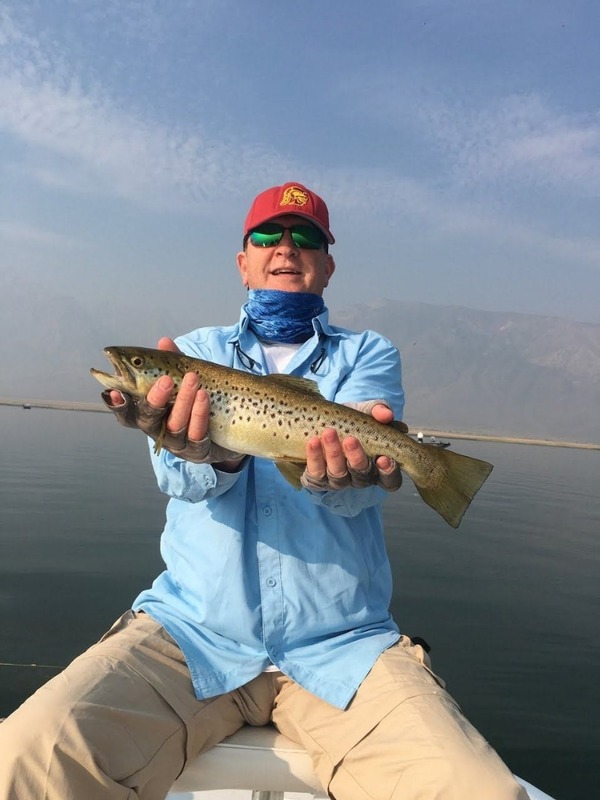 Right now most of the fish in the lake are concentrate in McGee. Anywhere from 5ft of water all the way out to 23ft. You absolutely need to get your flies down almost into the mud to get takes right now. The coldest water is in the stream channel, which is only a 8-10" depression in most places. Find that low spot and you'll find the fish. 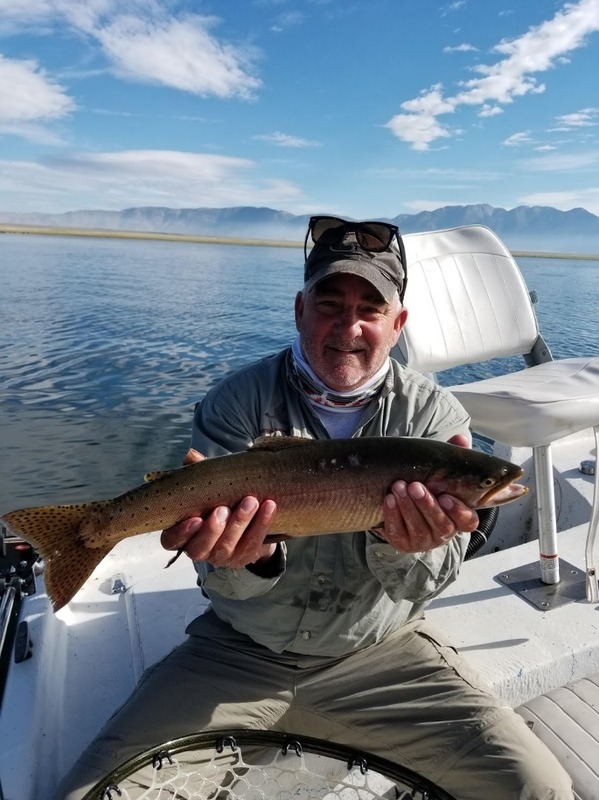 Fish Mammoth Guides Services is located in Mammoth Lakes, CA (Mono County). 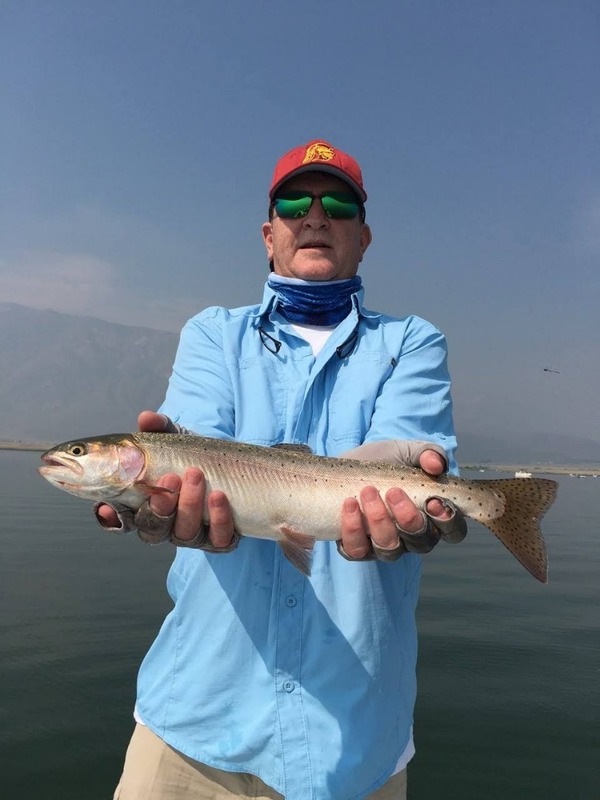 Fishing Guide, Jim Elias, can take you fishing on Crowley Lake, Upper Owens, Lower Owens and East Walker River. 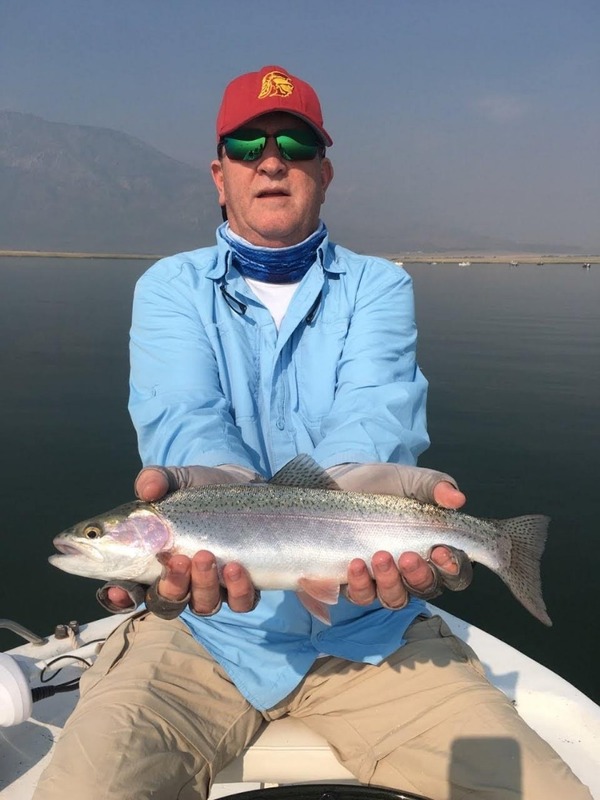 To book your guided fishing trip with Jim Elias please all him at (760) 582-2195 and for more information please visit his WEBSITE..